The Vita is now on store shelves and those that have gotten it may now want to know what out there is worth getting. 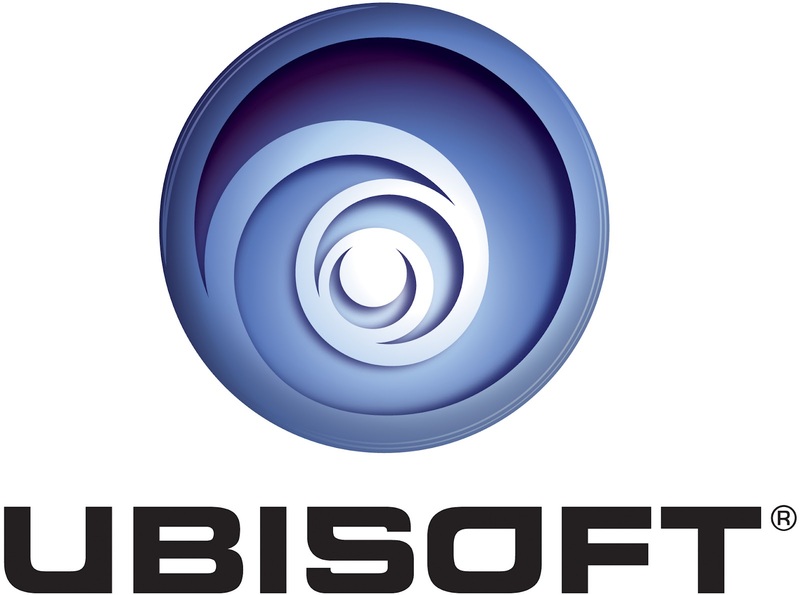 Ubisoft has a pretty solid lineup for the launch and decided to provided us with the downloads of all five titles available for the stunning handheld at launch. 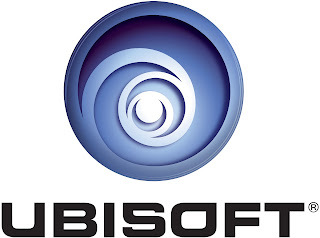 In this post I will provide you all with my impressions of these titles along with some of the things that got me hooked or made the experience less than entertaining. Also for those of you looking to purchase your titles digitally, the largest title took up just shy of 1.5 gb's, and took less than a half hour to download, install, and play from the store on the system. So let's get down to brass tacks and see how each game performed, in order of my enjoyment, it is on to the reviews, starting with Rayman Origins. 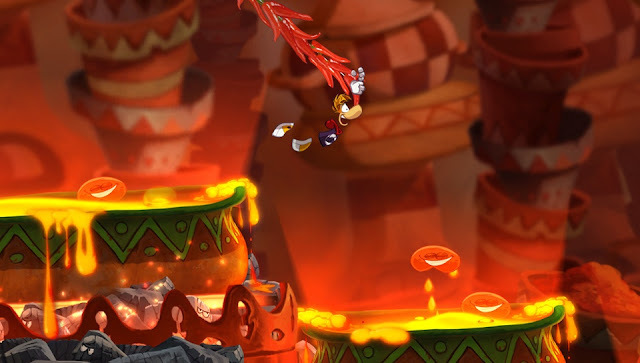 Rayman Origins, what more can I say aside from the fact that this is a gorgeous, fun, and the perfect launch title for the handheld. The levels are hand drawn and kooky is a good description of it, while the soundtrack is just as fitting. We had previously reviewed the console version and loved it, but was a bit apprehensive as to how scaled down this would be on the Vita, and the only noticeable difference would be the lack of coop multiplayer. Load times are not bad at all in comparison and with over 60 levels to play and replay, had me coming back for more to try and find all the little secrets to unlock more. There are some unique features to the Vita which add engagement and removal of fingers from the buttons, none which I really used often aside from the pinch to zoom to get a closer look at the gang. You notice I had notice bad to say about this gem, well that’s because it is close to being a perfect platformer for the system, only thing I wish was available is the coop multiplayer. 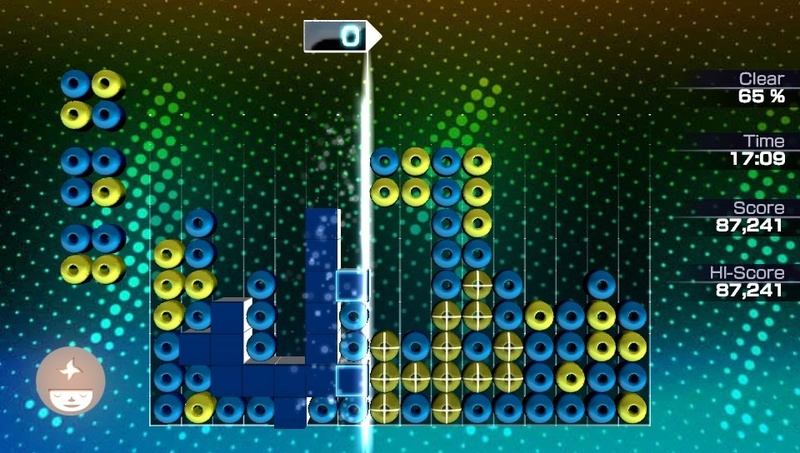 Lumines: Electronic Symphony has been described as euphoric by many and it is exactly that. Lumines was the first game I owned when the first iteration of the PSP came out, and just like the last, it is a great way to lose yourself to everything around you, all by just matching squares of four blocks. This is the game in which I use to show off the Vita's visuals and when I am trying to go to bed, as the music is not only fitting and soothing, but changes from level to level with the background, sound effects, and block designs to throw you off and get you back into your groove. There are now power ups to help level up and free up space on the playing field in which you can refill quickly by tapping the back of the Vita to the beat, unfortunately, you can spam this method to refill quickly, and I do feel that it can give an unfair advantage. This would be greatly remedied if it only took into account the beat of the song to the pattern of tapping. You do level up to unlock avatar and skins, by playing any of the various modes and get bonus XP by contributing to the daily elimination of the World block. Moves can be input by tapping the screen and sliding blocks, but this proved to be more frustrating than the traditional gameplay of the original, luckily you are also able to use the classic method, which is what I mainly used to progress through levels. Dungeon Hunter Alliance is a title in which I was torn on. 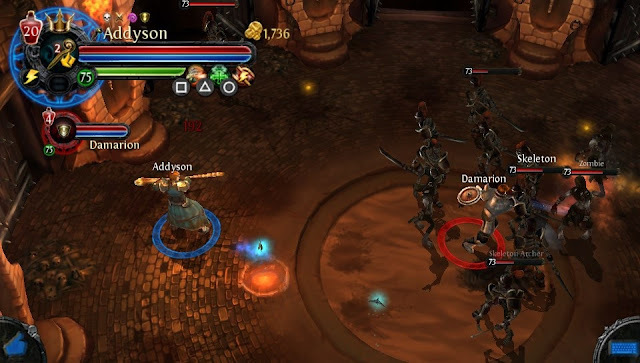 It is a dungeon crawler we have seen on numerous mobile devices and PSN at a fraction of the price. So what has me torn? That would be due to having physical buttons that do not appear on the screen along with online multiplayer, which I never had a problem finding people to play with. I am a fan of the genre and of course looting, which Alliance has plenty of along with a multiplayer that works rather well, as the only time I encountered any lag was whenever someone would join my game. There are also three available classes which means I will be putting many, many hours grinding and looking for rare loot on my numerous builds. Boss battles are also very satisfying as they are large, require strategy, and had me looking forward to what I will be encountering next. Though it does have its issues from time to time, my biggest gripe with it was playing online and someone decides to hold up the party by managing their inventory while the other three of us have to wait until they are done to carry on with the story. If you were a fan of Untold Legend on the PSP or Dungeon Hunter on the mobile devices or PSN, you will not be disappointed as it does have a lot to offer, but will also have a niche fan base, luckily this is a game which doesn't end when beaten, as you will still have two other classes to build and items to loot. Michael Jackson The Experience HD was surprisingly entertaining. At first I took this title as shovelware and didn't even want to give it a try. But that saying about the curious cat rings true, as I went on to look for gameplay videos on youtube and from the playlist alone I wanted to give it a shot. I mean obviously if you are not a King of Pop fan, then this title probably isn't for you. That aside, it is not a dance game either, but more a rhythm game that makes use of the touch screen, front and back. 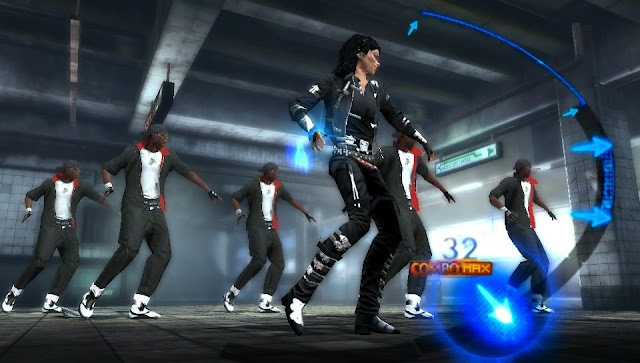 It is as simple as tapping the screen, making gestures with both hands, and moving Michael around by touching the back. Now add some of the greatest pop songs of the past and present along with snippets of the videos in HD audio and video for an entertaining time. Though I did have a lot of fun with this title and is something I will be going back to whenever I have some short amounts of time to kill (and access to my headphones), it felt as if it was lacking content for being a retail launch title. 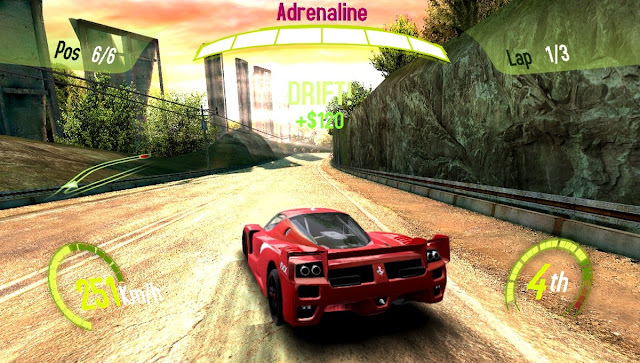 Asphalt: Injection was the only title in which I wanted to like more as a fan of the arcade racing genre. It had the key elements needed to make it fun at first, but the physics just didn't feel right and instead of looking and playing like a last generation Need for Speed game, it just looked the part and drove like a Cruis'n or Rush racing game. You will be rewarded for winning races, with sponsorships, performance, and visual parts if you enjoy the racing physics. Now this, coupled with having online multiplayer makes it a good fit if you have a PSVita and need a racing game that has wheels instead of spaceships, because it will get fast and boost will be plentiful, just prepare to ride some walls.